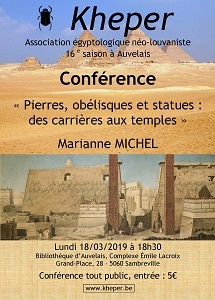 Les jeudis 14, 21 et 28 mars ; 04 et 25 avril 2019 de 14h15 à 15h45. 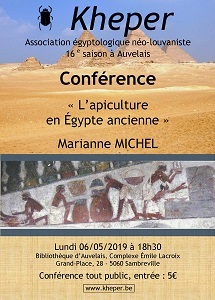 Cette conférence vous propose en première partie une exploration du travail effectué dans les champs lors des différentes saisons de l'inondation (Akhet), de la décrue (Peret) et de l'étiage (Chémou) en Égypte ancienne. En deuxième partie, nous examinerons les différentes étapes de la panification. 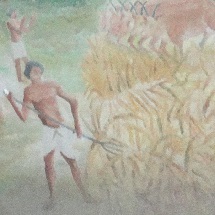 Le propos est illustré de nombreuses illustrations d'outils et de scènes figuratives. 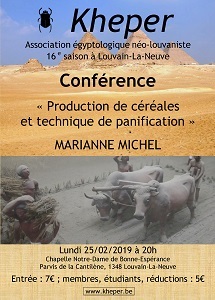 Le samedi 23 février 2019 de 11h à 12h30. Le terme châty a servi à établir le rapport existant entre les valeurs marchandes des divers métaux utilisés (or, argent, cuivre, plomb). Il s’agit alors d’une comparaison de valeur marchande et de masse. 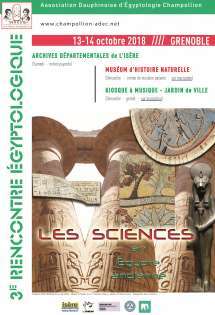 « Aperçu des mathématiques de l’Égypte ancienne. « A new reading of Problem No. 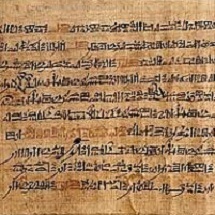 53 in the Rhind Mathematical Papyrus. The limits of proportionality », p. 410-415. Problem No. 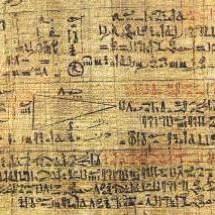 53 in the Rhind Mathematical Papyrus deals with the computation of multiple areas included in one single triangle. The problem begins with the sketch of a triangle which includes two partitioning internal lines, annotated with various measurements written in black or red ink. 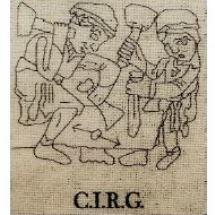 Below the figure lies a very succinct text of 13 lines without any introduction or conclusion, providing only three calculations that can only be linked to the measurements of the figure. The purpose of this paper is to present a consistent and innovative reading restoring the aim of the entire problem. 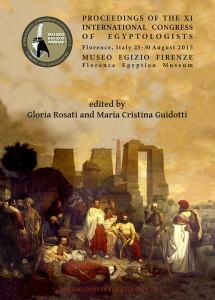 Gloria Rosati is Associate Professor of Egyptology at the University of Florence, Department of History, Geography, Archaeology, Fine and Performing Arts. 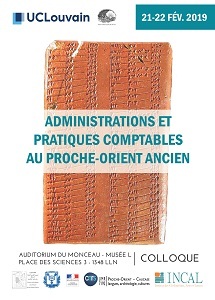 Her research topics are Middle Kingdom history and art, as well as funerary texts and rituals. Gloria has been working in Egypt, at El-Sheikh Abadah / Antinoupolis, in both Roman town and at necropoleis, in the temple of Ramesses II, and in the Theban necropolis, Asasif. Maria Cristina Guidotti is the Director of the Florence Egyptian Museum, and is a specialist in Egyptian pottery from the Pharaonic and Graeco-Roman periods. In her publications she studied material from the Florence collections, from excavations at Saqqara, from the funerary temple of Thutmosis IV-western Thebes, and from the Roman town of Antinoupolis.